Five hostels with special atmosphere: Good night, Cologne! Of course travelling is all about seeing and experiencing as much as you can. Personally, though, I tend to be much more relaxed during the day if I know a comfy bed is waiting for me at night, with my luggage safely stored away. 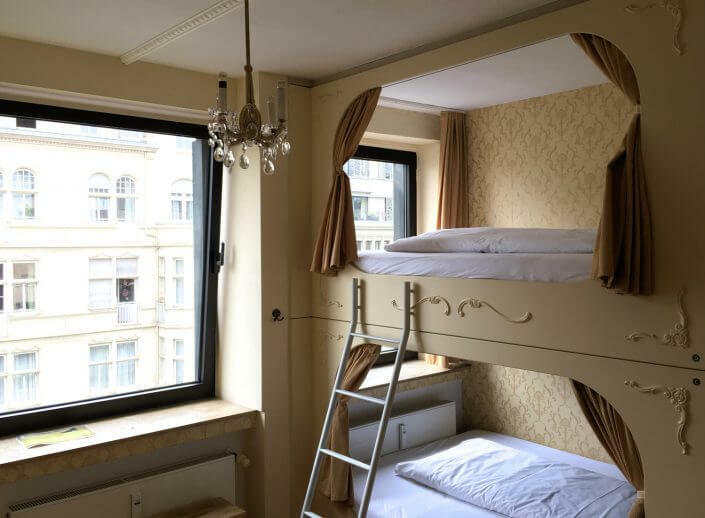 My favourite way to spend the night is in hostels, because they don’t put a big dent in my budget and are great for getting to know other travellers and locals who may just have that perfect suggestion about where to go and what to see. 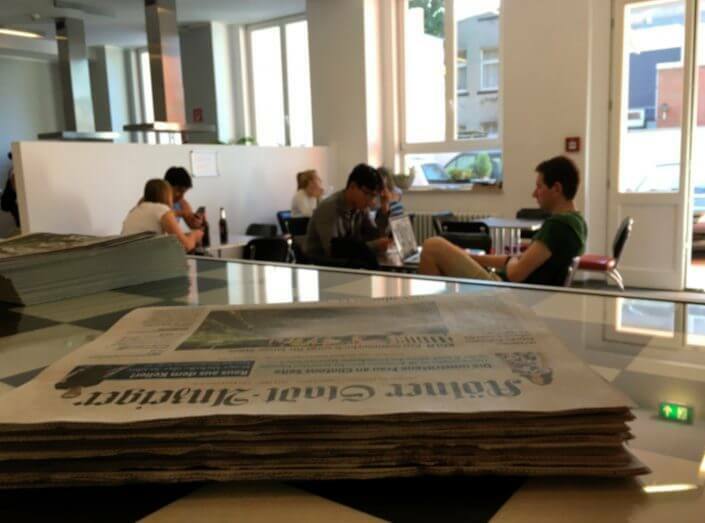 Here are five centrally located hostels in Cologne with a special atmosphere. This is my personal favourite. In 2008 three friends got together because, as they say, “we just wanted to open a bar”. Fast forward to 2016: Die Wohngemeinschaft (“Flatshare”) is a café, bar, hostel and theatre all wrapped into one. The rooms, with shared bathrooms, are supercosy, very well-kept and real works of art in their own right: you might get to sleep in a boat, a poet’s room, a ballet studio or even in outer space. 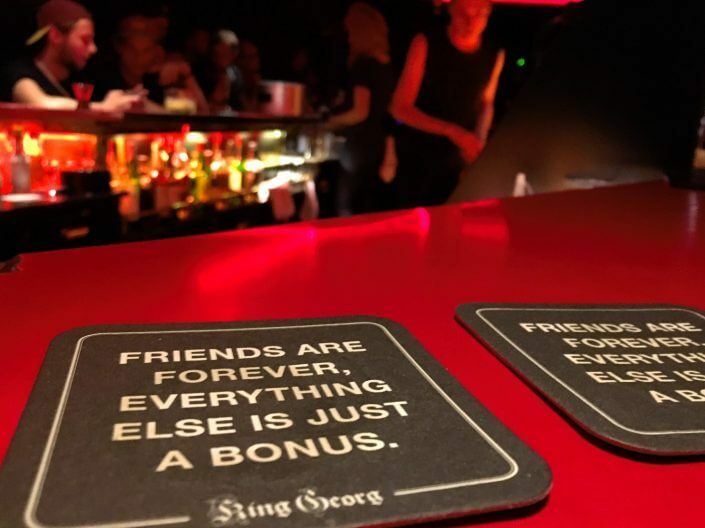 The bar is a lovable jumble of various styles, with Cologne residents propping up the counter or giving the foosball table a workout. 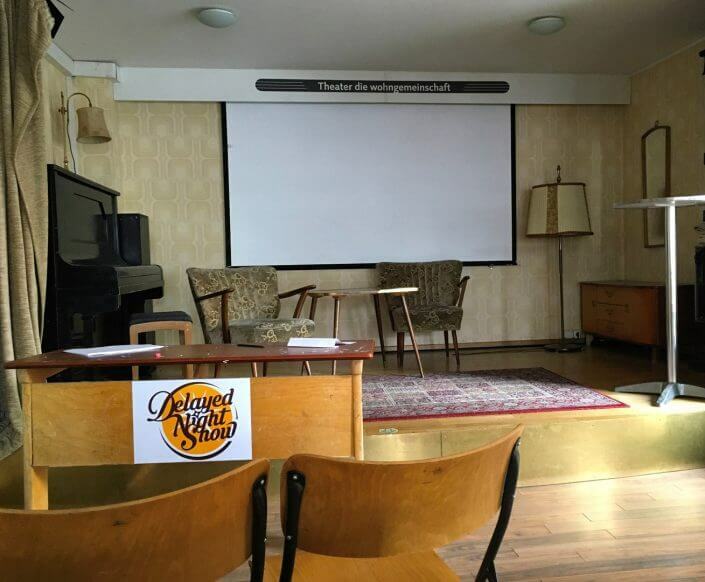 The on-site theatre regularly stages concerts, readings and poetry slams. And just a couple of hundred yards down the road is the trendy Belgian Quarter with its great boutiques, cocktail bars and restaurants. 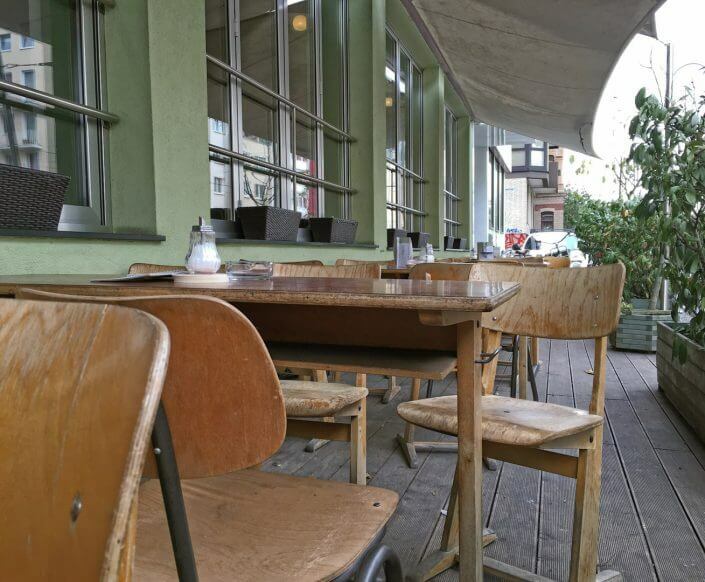 Alternatively, stroll over to nearby Aachener Weiher lake with its beer garden and BBQ spaces. Situated in Ehrenfeld, my favourite part of town, Weltempfänger (“world receiver”) lives up to its name ¬– it’s where travellers from around the world congregate alongside local residents. 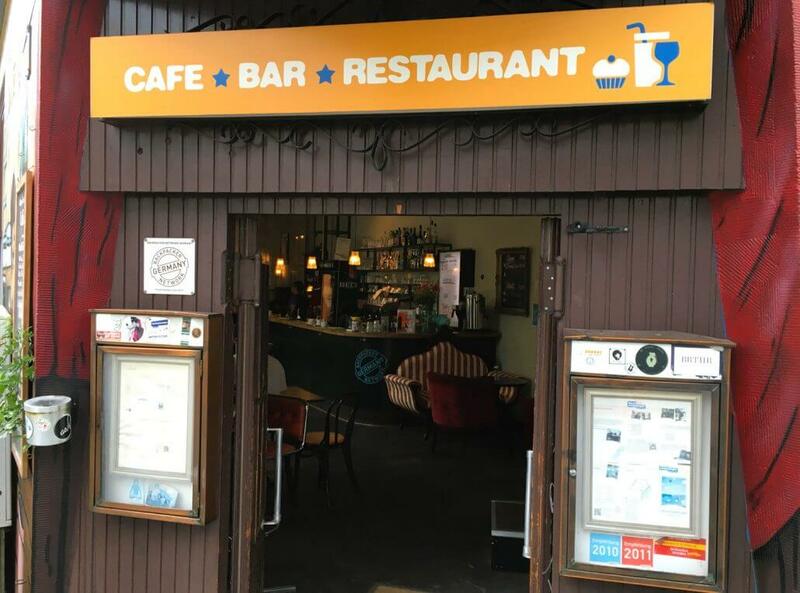 Ehrenfeld has pleasant shops, bars, cafés, restaurants and clubs galore. And it’s just round the corner from Grüngürtel park, which is perfect for taking some outdoor exercise or a picnic in the sun. 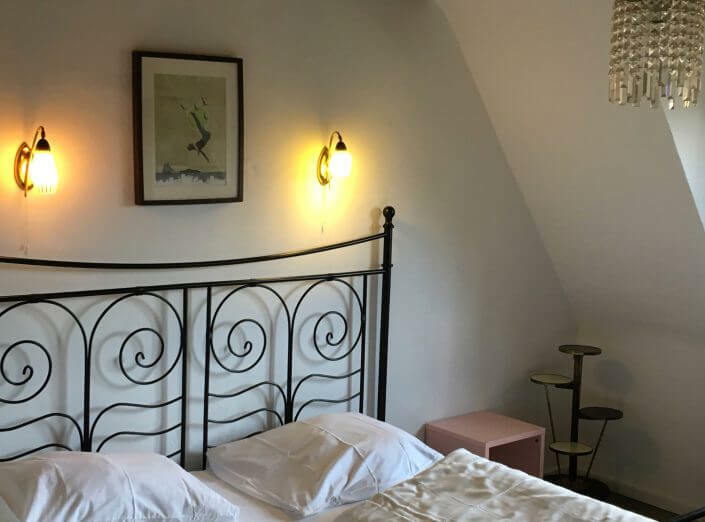 Most of the rooms are en-suite and all are functionally furnished, with some nice personal touches such as vintage lamps. 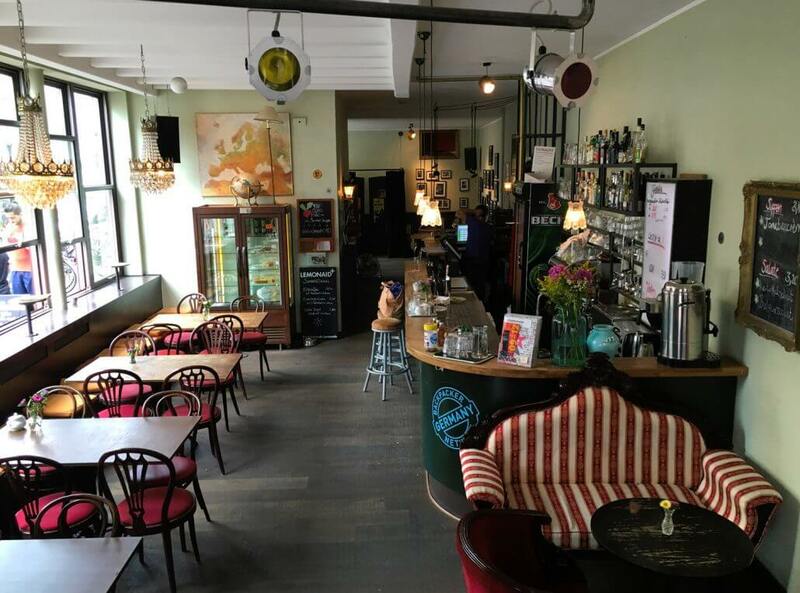 You enter the hostel via a cosy bar area, where it’s easy to meet locals over a drink and a chat or listen to a live band perform. Between 8 am and 1 pm Weltempfänger serves an organic breakfast for just under EUR 6, which is available to non-residents as well. Ever spent the night in a church? 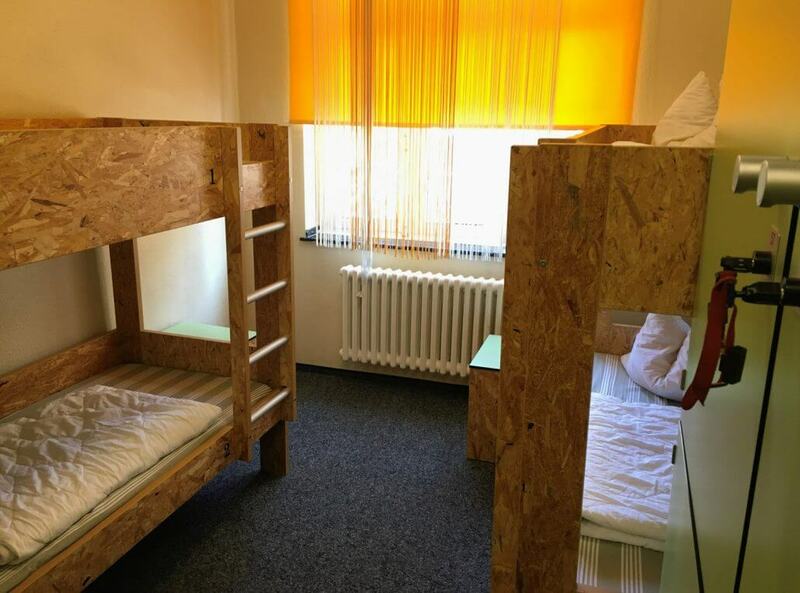 If not, this is your chance: Pathpoint Cologne, which offers simple shared rooms (all en-suite), is located in a converted place of worship. 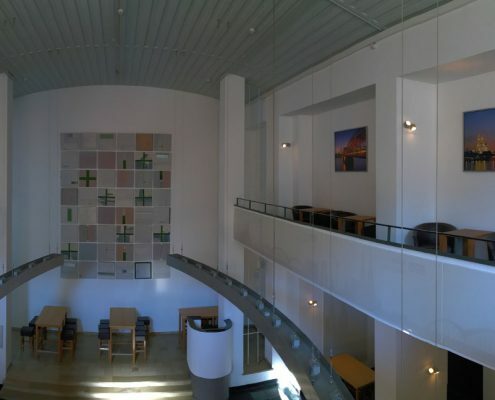 The former nave with its high ceilings is the common room, where guests can play foosball, read or go online ¬– or just stand there and gawp at the ceiling, like me. There’s a cosy courtyard with a BBQ where you can join others over a coffee, beer or a grilled sausage and reflect on the day’s events. The kitchen has several cooking islands with plenty of pots and pans, so it’s easy to meet up with other guests to trade recipes and prepare an evening meal. 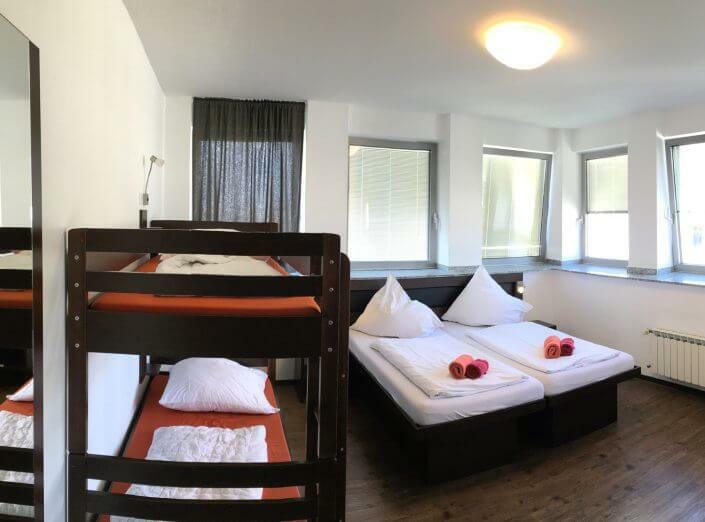 Pathpoint is as central as they come, with Hauptbahnhof station, the Rhine and the city centre just minutes away on foot. 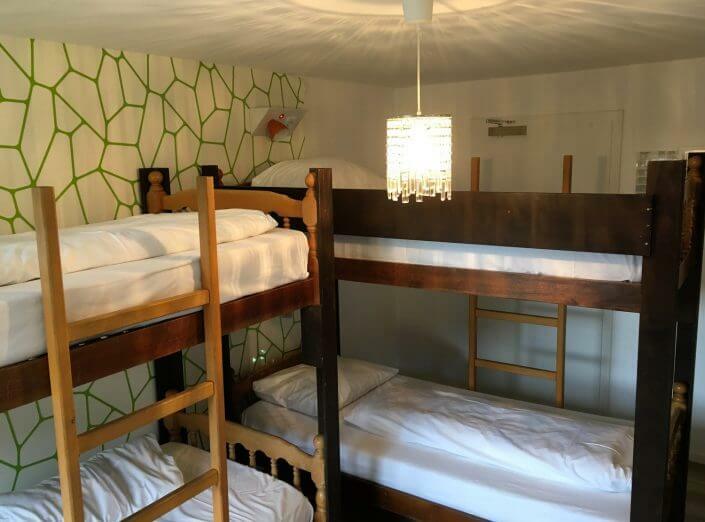 It’s operated by the German Youth Hostel Association (DJH), which also runs two other hostels in Deutz and Riehl. As I pass through the door of Hostel Köln, conveniently located between Neumarkt and Rudolfplatz, I think I’ve walked into an upper-class hotel. The dark floors, red lounge furniture and long reception counter reinforce the association. Then I’m joined by a noisy group of backpackers and I remember I’m in a hostel. 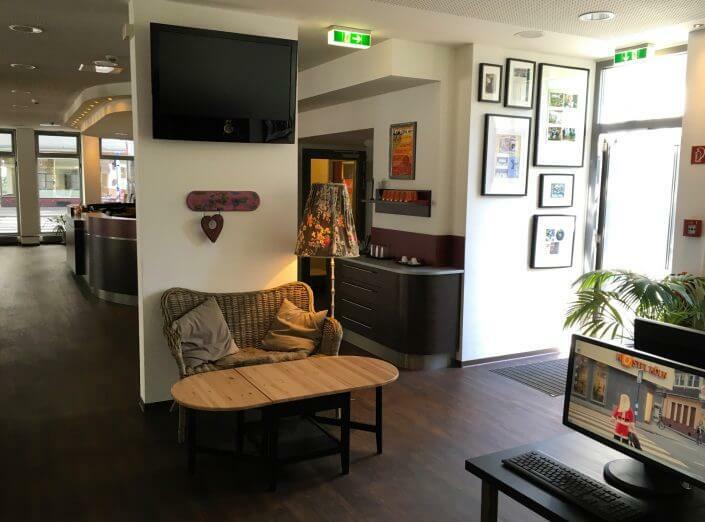 Hostel Köln is ideal for striking up a friendship with other residents in its café area, small courtyard or over its generous breakfast buffet. Elmar, the friendly hostel proprietor and his team are always happy to help or chat. 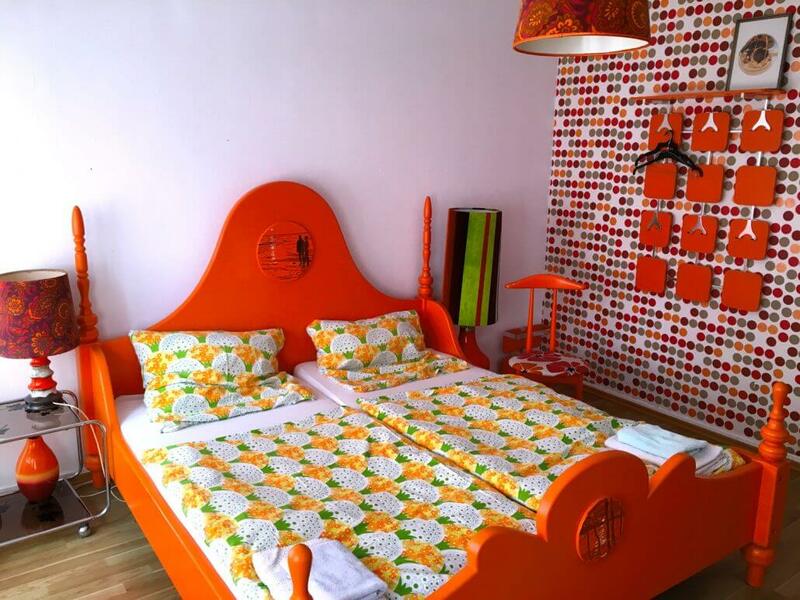 The rooms are lovely and bright, with ultramodern furniture, TV sets and en-suite bathrooms with windows. Unlike most hostels, there’s no shared rooms with single beds here. 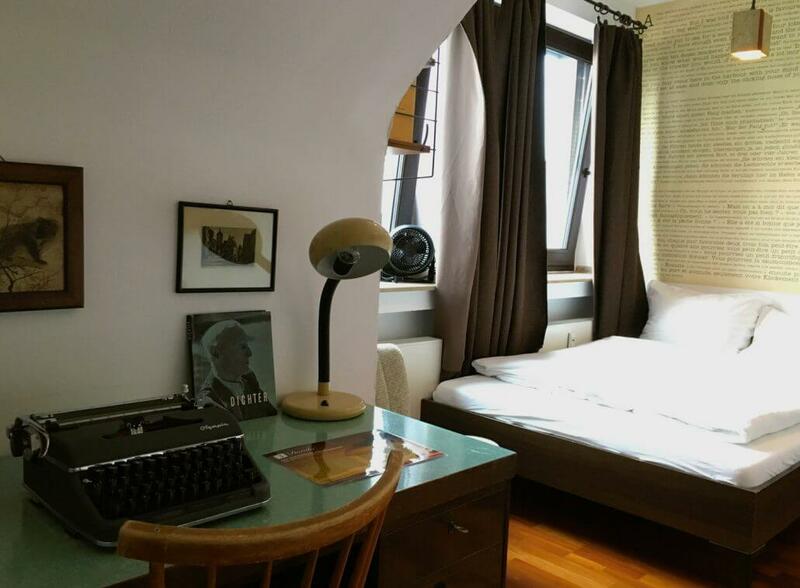 Solo travellers need to book a single room, and if you’re travelling with friends or kids, there’s a couple of multi-bed rooms. 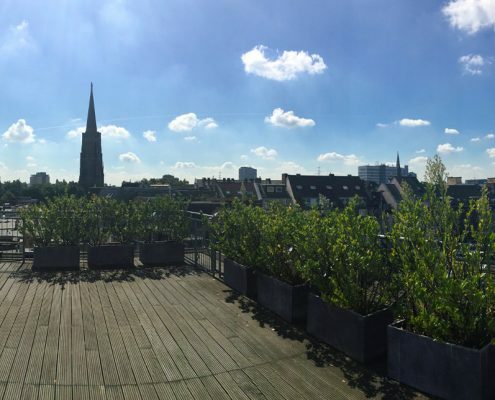 My favourite feature here is the enormous rooftop terrace with views over to the Cathedral and direct access to the breakfast area, where you can enjoy your morning coffee gazing out over the rooftops of the city. Breakfast is served until 11 am (noon at weekends) – perfect for late risers. King Georg, just off Ebertplatz, is the stuff of legends. Not content with being a hostel, it’s been a non-mainstream club, bar and major concert venue since the late 1960s. 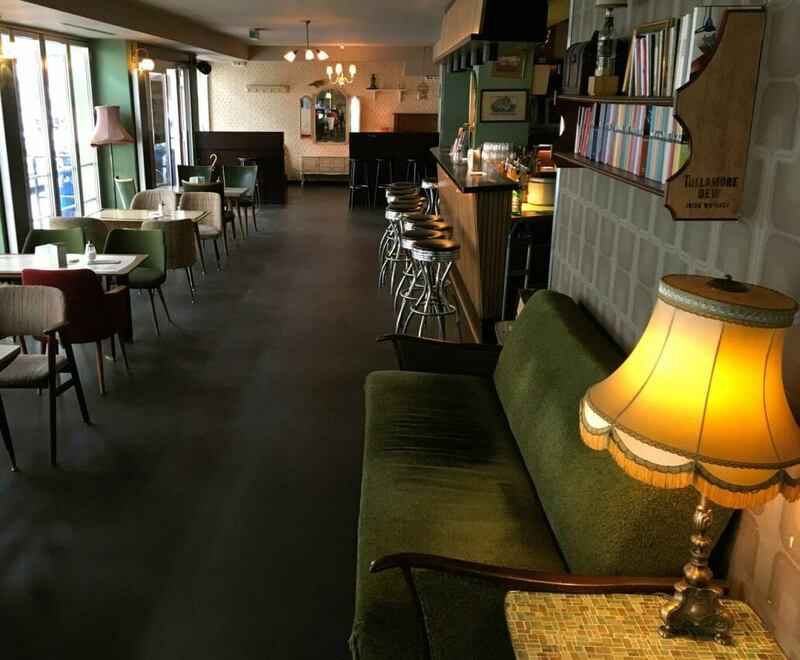 The simple studio apartments above the bar were originally used as accommodation for performing artists. You won’t find the usual common room or other hostel amenities here, but you can claim to have slept in the same 70s-, 80s- or garden-themed rooms as seasoned performers, newcomers and bestseller writers. 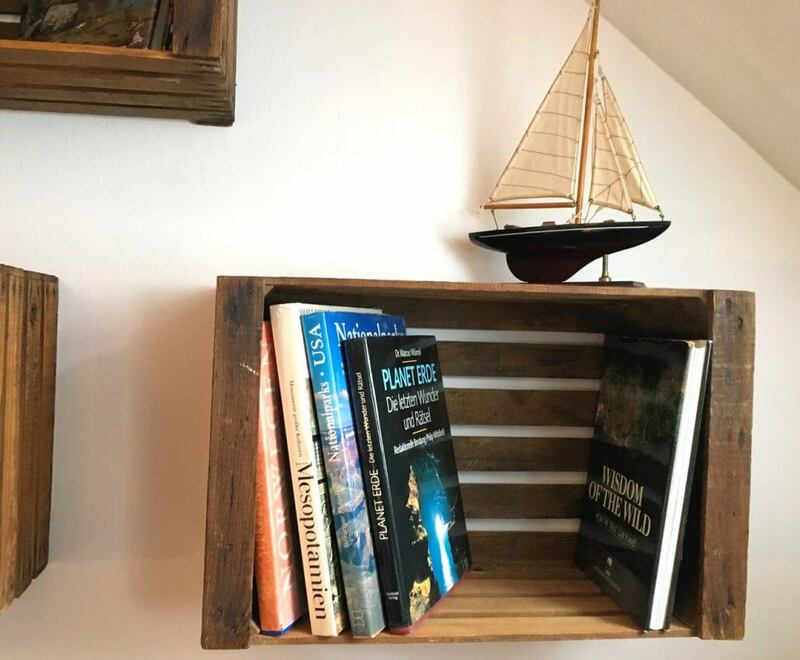 Who knows, you might wake up with inspiration for a book or song right here! The apartments offer double beds, a simple bathroom and a kitchenette, with portable hotplates available on request. 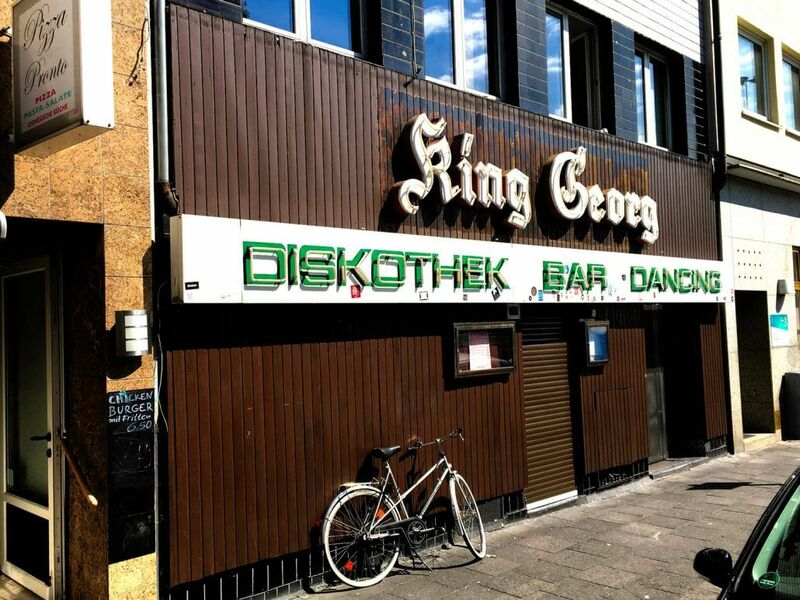 Anything else you may need can be procured in the Agnesviertel district or on Ebertplatz. The Rhine and Hauptbahnhof station are just minutes away. 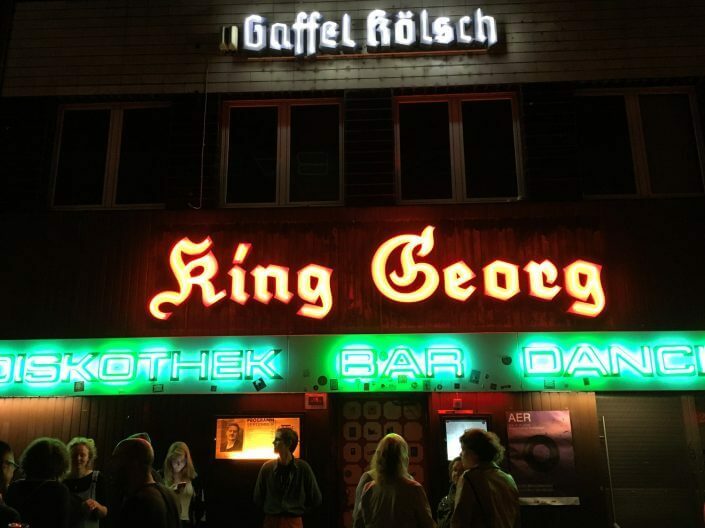 On three days a week King Georg opens its doors to the public, mostly for concerts or readings.